If you've had trouble accessing Facebook today, you're not alone. Users in the US, Europe and Asia struggled to access not only Facebook, but also the WhatsApp and Instagram services owned by the social media giant. Facebook has said little about this incident which comes just a month after it suffered its worst outage ever, causing problems for users for over 24 hours. 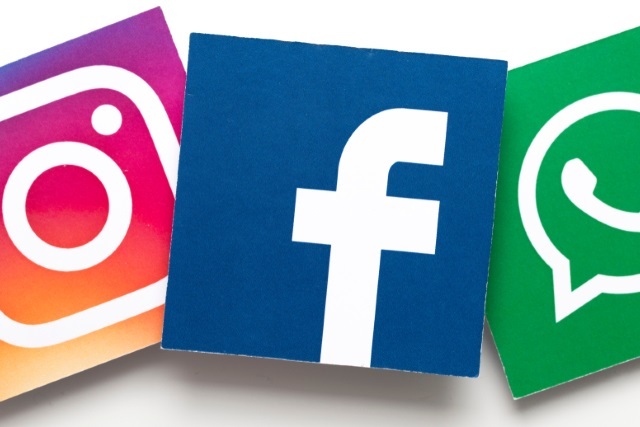 This weekend's outage led to #FacebookDown, #instagramdown, and #whatsappdown hashtags trending on Twitter, and numerous reports of problems were posted to Downdetector. The worst of this weekend's problems appear to have been concentrated into a two-hour period in the early hours of Sunday morning, but they continued for some time. While the number of problems reported by Downdetector has now dropped dramatically -- indicating that the worst is now over -- there are still report of problems across the Facebook network. Earlier today, some people may have experienced trouble connecting to the family of apps. The issue has since been resolved; we’re sorry for any inconvenience. As Facebook as not yet commented on the cause of the problem this time, it's hard to known what happened. Last month's outage was blamed on a "server configuration change" and if something similar happened today, it is likely that the fix will take a little while to propagate, hence a few people are still seeing issues.